Welcome alumni and friends! Your Involvement as an active Harris-Stowe State University alum makes a tangible difference in the lives of the students who will follow in your footsteps. We are excited about our future and look forward to working with new and current alumni as we come together to work toward a common goal of inspiring change in the lives of our students and the communities in which we live. We would like to invite you to visit us at the Office of Institutional Advancement located in the Henry Givens Administration Building room 110. 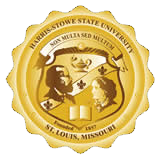 We will be happy to assist you with everything from establishing your membership in the Harris-Stowe State University alumni association to joining our alumni network platform. We need an infusion of talent, ideas and energy to help us increase our engagement and fundraising efforts, to provide more scholarships and support for our students. There is no time like the present. Please plan to join us as we build for the future. Come and help us build something of which we can continue to truly be proud.